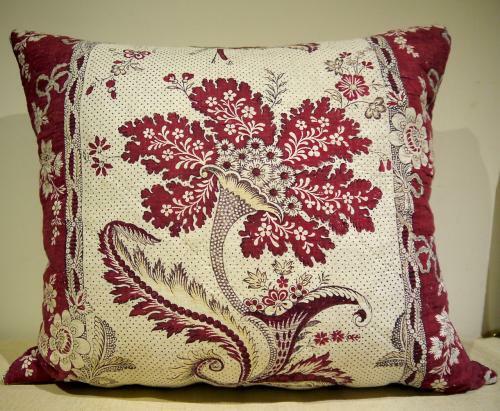 A cushion made from a French circa 1790s block printed cotton and linen called 'La Cornue Fleurie.A toile manufactured by Petitpierre Freres,Nantes. Ina wonderful condition with a very striking design. Backed in a vintage linen,slipstitched closed with a duck feather pad.